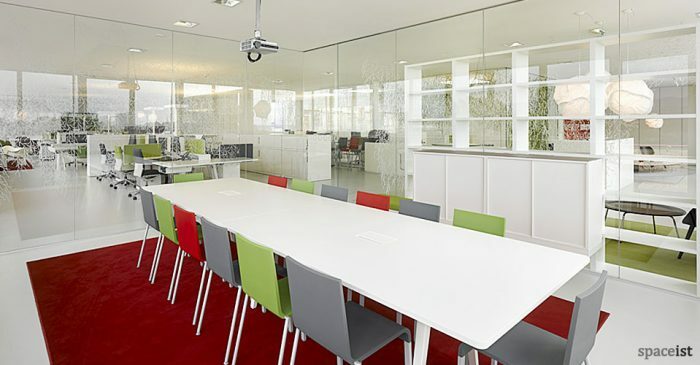 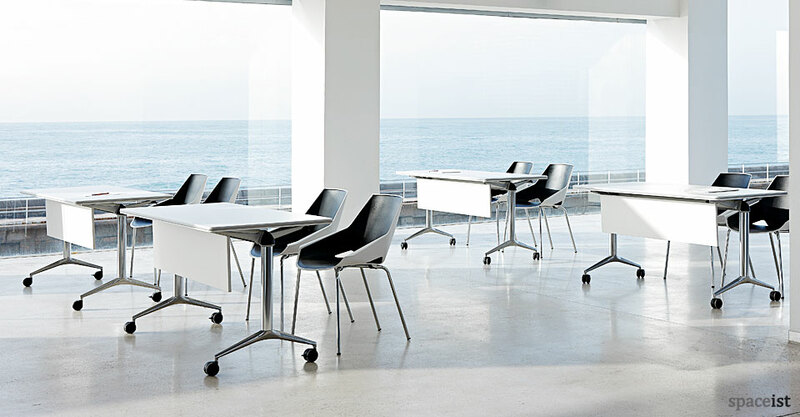 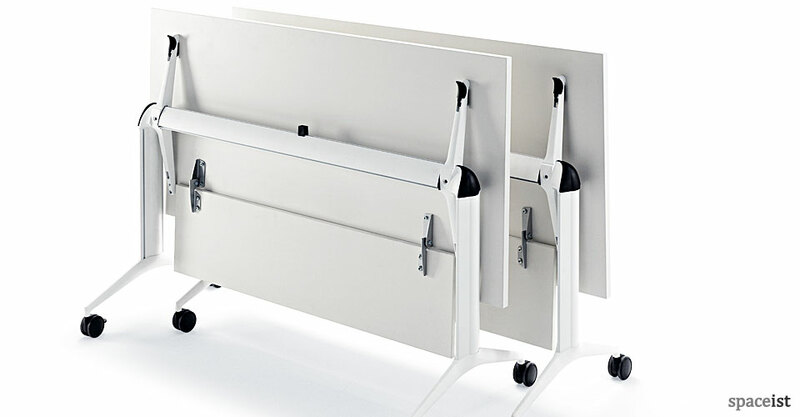 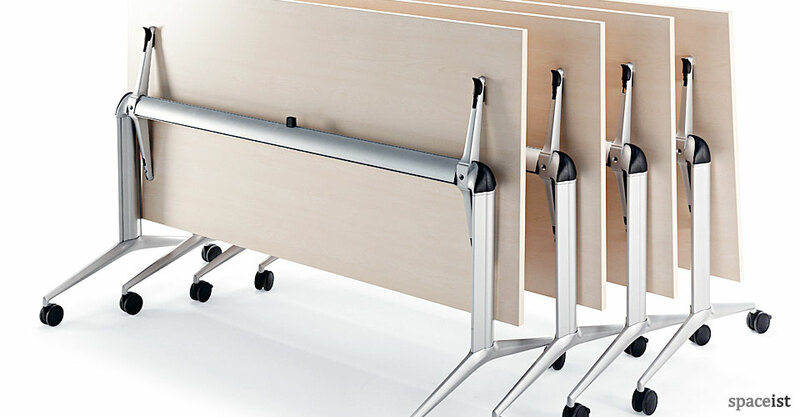 To accompany the Tram30 folding table, a modesty screen is available as optional. 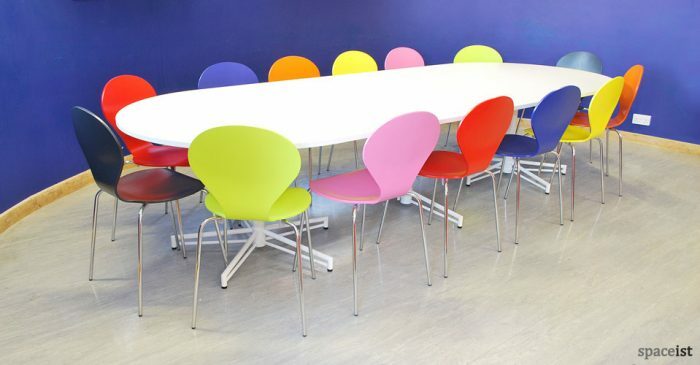 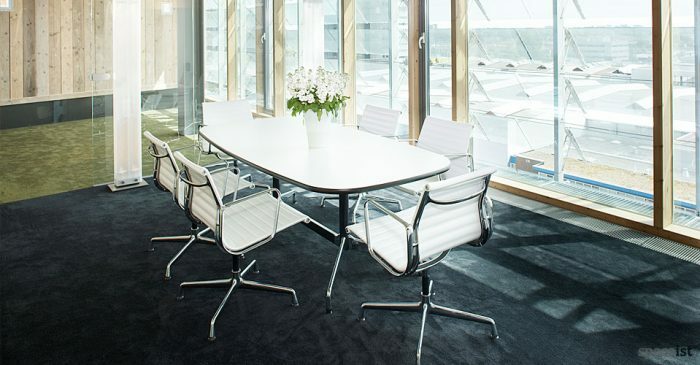 The modesty screen folds flat when the top is tilted to the vertical position, meaning the tables can still be folded and stacked away with ease. Made from laminated MFC the screens come in white, maple, elm and chestnut.